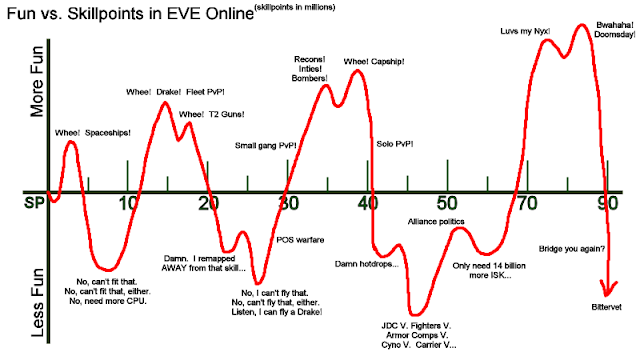 Lately CCP has had a thing for expanding the capital range of modules and ships. There was the big shake up early last year where carriers were split into carriers and force auxiliaries, followed by new tech II and faction modules to increase. Then this year we've been introduced to more faction capitals to join the Sansha Revenant, first four from the Blood Raiders and then three from the Serpentis, ships that like their sub-capital counterparts combined differing design philosophies into more powerful and threatening ships (in theory). For example, the Serpentis Vehement dreadnought gets a 10% bonus to stasis webifier effectiveness for Minmatar dreadnought skill. Secondly, the Dreadnought and the Titan have Fighter Bays! … Yes, you did read that correctly!! So they are expanding the number of possible goals for those players by introducing capitals with unique abilities / play styles to will give them something to train for and save ISK for. It also gives them opportunities to spice up capital gameplay with odd possibilities and synergies. 2) The gap between battleships specializing in drones and full blow capital carriers is too big. I've argued for this last year in a blog banter. Think about it: you are specializing in drones, working up through Tristan, Algos, Vexor, Myrmidon, Dominix, controlling five big Ogre IIs or 5 Warden IIs in a hull around 200 million all fit, maybe a bit more. And the next step is a hull 5-6 times the cost that can control 10 Fighters (or 15 if you're insane with Drone Control Units) but has all the mobility of a log. And includes new mechanics such as jumping, triage module, ship maintenance hangers, etc, etc. The jump in price and functionality is too big. Its a barrier to natural progress and prevents fighter gameplay from seeing wider use, creating an environment where a lot of people never (or hardly ever) experience it because its too risky / difficult to learn and a few people master it and use it extensively. This will only be compounded by the new fighter mechanics and interface (which might be mitigated some if drones undergo a similar shift). So I propose a new capital ship class that I call Assault Carriers similar in size and function to the Orca: hull price point about 500-700 million ISK, can use fighters like carriers (albeit fewer in number), no jump capability, can go into high sec, etc. This would make the jump from drones to fighters less severe, get more people used to the mechanics of fighters (both on controlling and receiving ends). I added emphasis because I feel my prediction has played out exactly like that. The new fighter mechanics keep any player who is not constantly in carrier gameplay from being more hesitant in using carriers casually because the mechanics are vastly different and the risk investment is vastly higher. 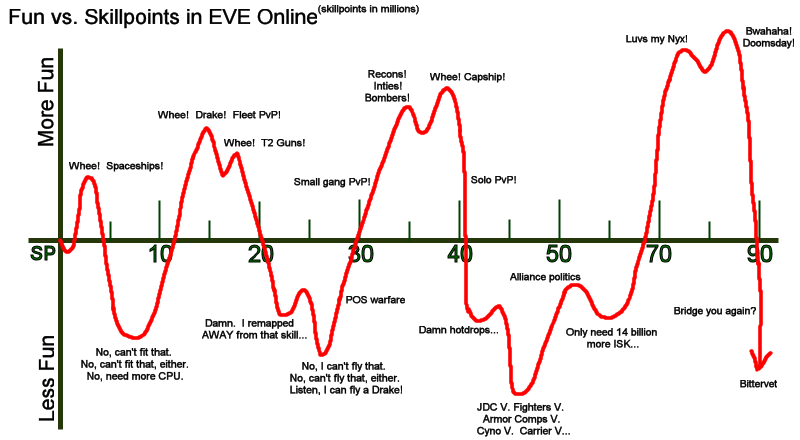 While I applaud CCP at expanding gameplay in the upper tiers for veteran players, I want to also encourage CCP to expand gameplay in the middle tiers to ease the jump from battleships to capital carriers.